TEA BENEFIT Regular consumption of black tea can speed up the rate of metabolism and make the body burn more fat. So, if you are trying to lose weight, the tea would prove extremely beneficial to you. If you are suffering from diabetes, drinking the tea regularly will prove useful. It helps decrease glucose levels in the body. Thanks to the caffeine in it, tea is energizing, which increases efficiency. Moreover, studies have shown that the stimulating effect of tea on our body is longer than the similar effect of coffee. DESCRIPTION Manufactured during the Second Flush. 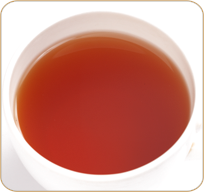 This tea is characterized by a well rounded, full bodied cup and a perfect deep golden color. Muscatel undertones heighten the experience this well balanced tea.